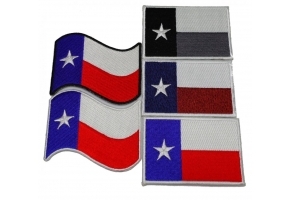 Texas waving flag white border patch is embroidered. Features plastic iron on backing. Measures 3x2 inch. 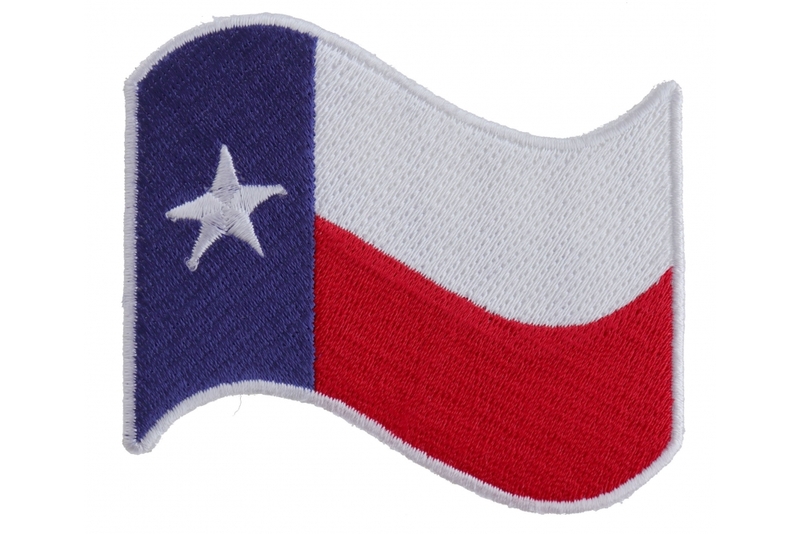 Colors used are Red / White / Blue The patch can be ironed on or sewed on to your clothing. Please do not iron on patches to leather or nylon material. A heat press is necessary to properly adhere the patch using the iron on method of application. Using a household iron will not produce professional results and the badge will most likely come off after a few washes. Both heat and pressure are a must to properly iron on a patch. 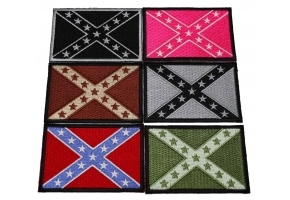 We always recommend you sew on these patches to your clothes for a permanent attachment. The die cut borders featured on these emblems makes it very easy for them to be sewn on.